All ages. Ages 18 and under must be accompanied by an adult. Las Vegas Triple-A baseball, of the Pacific Coast League, has provided family entertainment to the city for more than 30 years. In 1983, professional baseball began at Cashman Field with an exhibition game between the Seattle Mariners and the San Diego Padres. The Las Vegas franchise originally established a player development agreement with the San Diego Padres for the first 18 years of the team's existence (1983-2000). The beginning of the 21st century signified a changing of the guard for the franchise as the Las Vegas announced a new player development agreement with the Los Angeles Dodgers (2001-2008) and changed their name to the 51's, in reference to the semi-secret government base known as Area 51. Las Vegas then spent four seasons as the top farm club of the Toronto Blue Jays (2009-12). On September 17, 2012, the 51's announced a new player development agreement with the New York Mets for two seasons (2013-14). In 2013, Las Vegas returned to the PCL Playoffs for the first time in 11 seasons (2002). The 51s, under manager Wally Backman, compiled the second best record in the 16-team PCL with an 81-63 mark (.563). Las Vegas lost to Salt Lake (3-games-to-1) in the Conference Championship Series. Starting in 2019, the franchise has taken on a new name and a new ballpark. 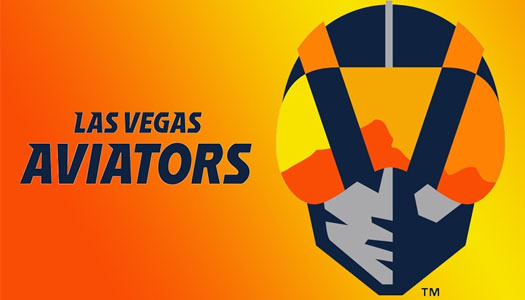 Now playing as the Las Vegas Aviators, Triple-A affiliate to the Oakland A's, they look to begin a new legacy, inside the state of the art Las Vegas Ballpark.